parachuting out of military helicopters to invade Tucker Pierce's idyllic hometown on Pemberwick Island, Maine. Tucker believes there's more to SYLO's story. He was on the sidelines when the high school running back dropped dead with no warning. He saw the bizarre midnight explosion over the ocean, and the mysterious singing aircraft that travel like shadows through the night sky. He tasted the Ruby and experienced the powers it gave him for himself. 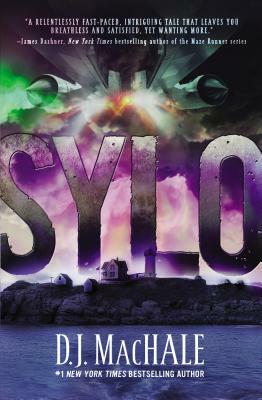 What all this means, SYLO isn t saying. Only Tucker holds the clues that can solve this deadly mystery. D.J. MacHale is the author of the bestselling book series Pendragon: Journal of an Adventure through Time and Space, the spooky Morpheus Road trilogy, and the whimsical picture book The Monster Princess. He has written, directed, and produced numerous award-winning television series and movies for young people including Are You Afraid of the Dark?, Flight 29 Down, and Tower of Terror. D.J. lives with his family in Southern California.You can visit him online at www.djmachalebooks.com."